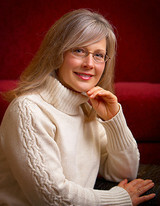 Kimberly Burke-Weiner is a children's book author whose first book, Maybe Garden (1992), features a boy who dreams of planting his own garden. 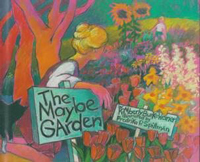 When his mother suggests that he start with an avocado pit that will grow into a tree the boy dreams of an apple tree instead - complete with balloons tied to the apples so that when they ripen they drift softly to the ground. The beautifully illustrated book tells the universal story of the power of creativity. 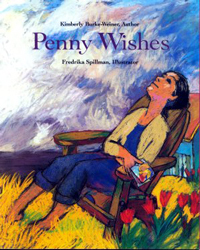 Burke-Weiner's second book is Penny Wishes (1997).